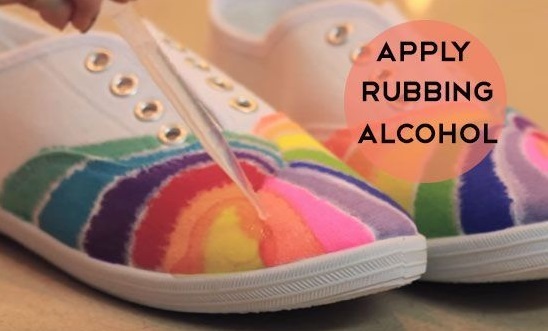 With Sharpies And Rubbing Alcohol, You Can MAKE These Awesome Shoes! 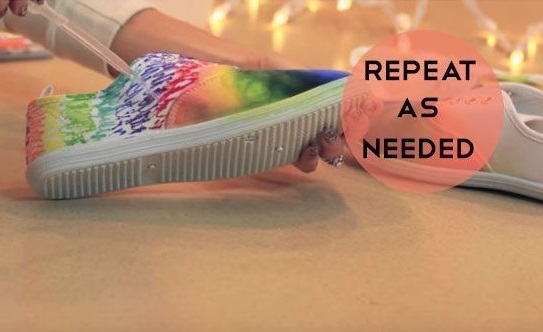 This method of customizing plain sneakers is quickly becoming a favorite, and you can see why! 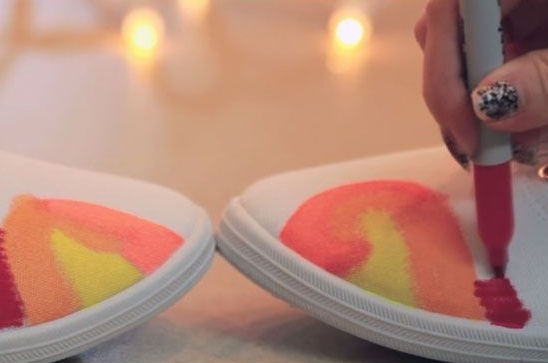 Creating red, white, and blue shoes for patriotic holidays, red and white shoes for Valentine’s, or an easy costume accessory for pep rallies at school is so simple with this technique! 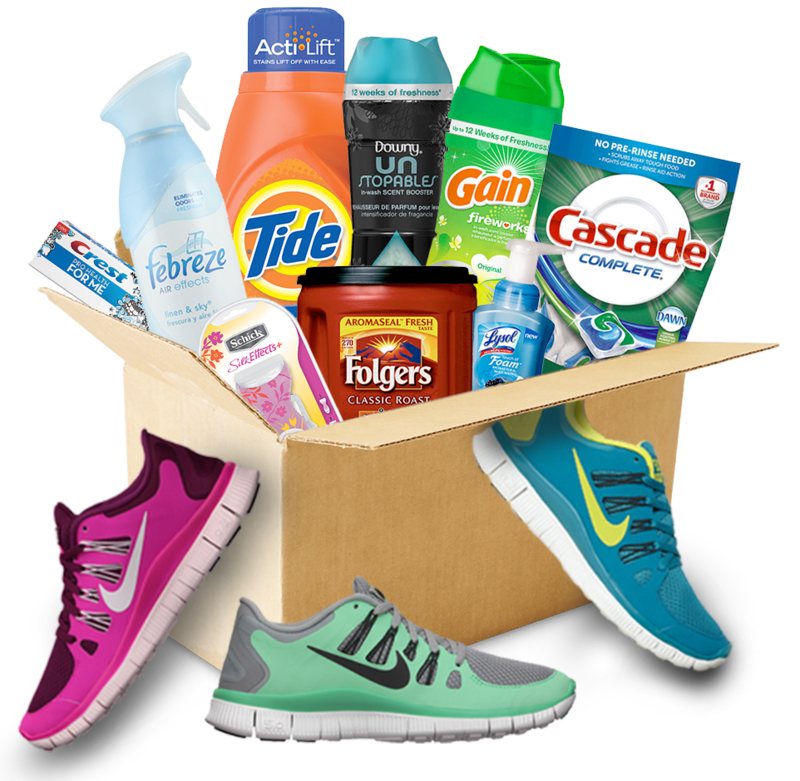 First, she bought a plain pair of sneakers in white. Then, she grabbed her Sharpie permanent markers and began to scribble on her designs. She worked to make them identical, but many feel that the mis-matched style is what they want in the first place. Using a small dropper, she added rubbing alcohol (other crafters report that nail polish remover worked too) and made the ink bleed in specific areas. She let each layer dry completely and went back in to fill in any areas that needed more ink. She experimented with different amount of ink to see which style she preferred. As each layer dried, she soon found the pattern that she loved the most! In the end, the shoes looked fairly identical in terms of color locations. She removed ink that dripped down over the edges with a piece of sandpaper and suggested covering them with tape before starting the project if you want them to stay white. She also chose to wear the shoes without laces by adding elastic to the inside of the shoe! Others simply dyed their shoelaces to match. 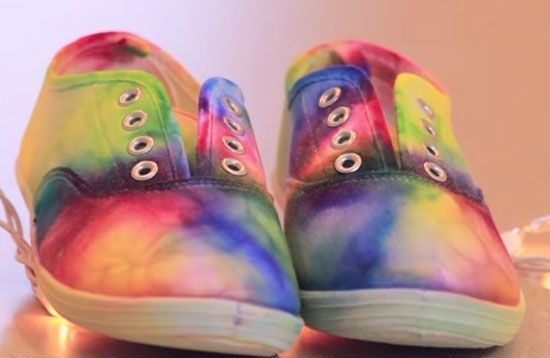 Supposedly, once they have dried, the colors won’t bleed in the rain and the shoes can still be washed!